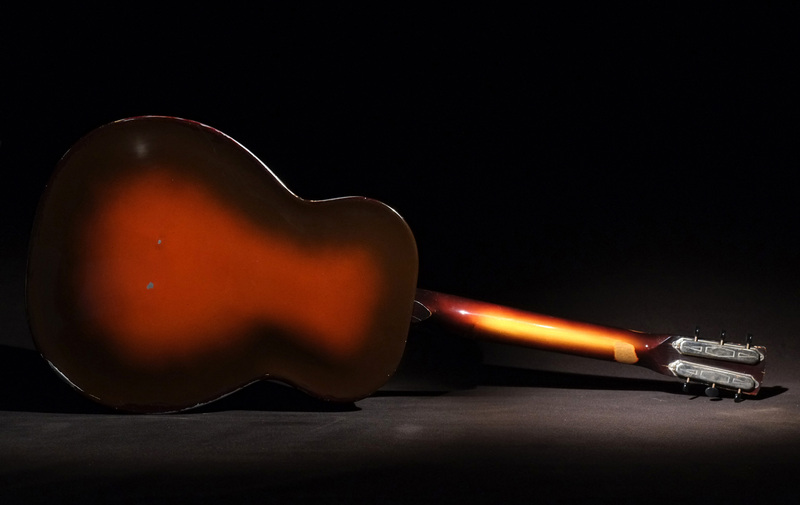 Here is an all original Dobro M46 Alumalite fiddle-edge. This guitar has an aluminum body. 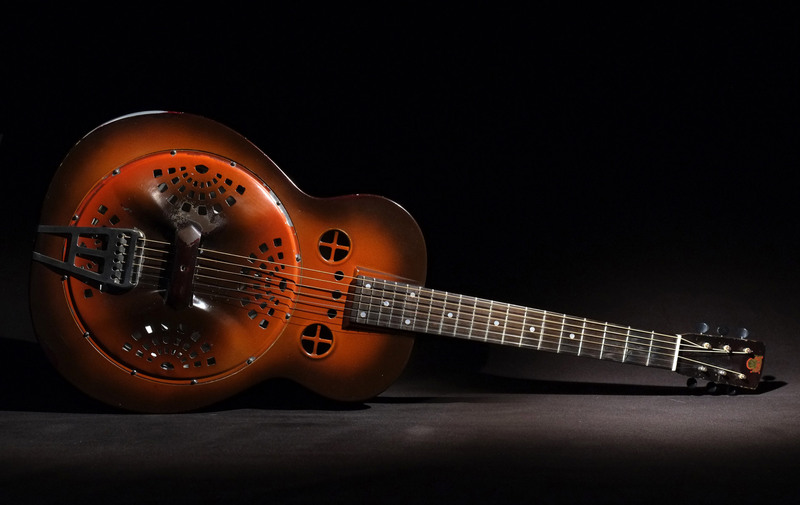 They made fiddle-edges out of steel, brass, german silver and aluminum. These aluminum fiddle-edges are not highly regarded, but when properly setup, I think they have a wonderfully sweet and etherial sound. It has a basswood neck, with a ebonized maple fretboard. The scale length is 24.75″. The original lugged cone and standard #14 spider are there. And the tuners are vintage Klusons with those cool tuner covers.